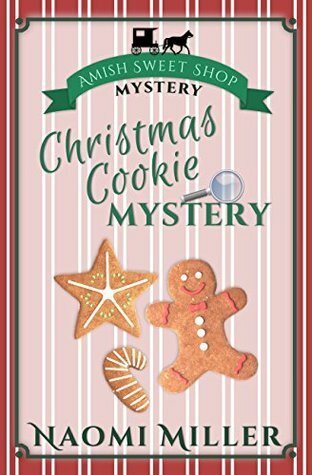 Today I am promoting Christmas Cookie Mystery… the second book in the Amish Sweet Shop Mystery series by Naomi Miller. Christmas is my favorite holiday… and I want to share it with my readers. Not only do I want to share some favorite recipes, but I want to share all the goodness and excitement and hope that Christmas brings to so many people. I believe that Christmas Cookie Mystery tells a sweet story about the folks in the Abbott Creek community; not only their faith and forgiveness, but their resolve to help one another. There are more than enough books to read about murder and mayhem, not to mention vampires and zombies. . . but sometimes we need a sweet story that gives us hope and faith. The Amish Sweet Shop Mystery series has has been compared to the Nancy Drew series, and it’s perfect for young readers, but I’ve heard from many readers — young and old alike — who enjoy the stories. I hope readers will pick up this book (and future books in the series) when they need something to distract them from sadness, worry, and doubt. I hope Christmas Cookie Mystery leaves them with a feeling of peace, love and joy! 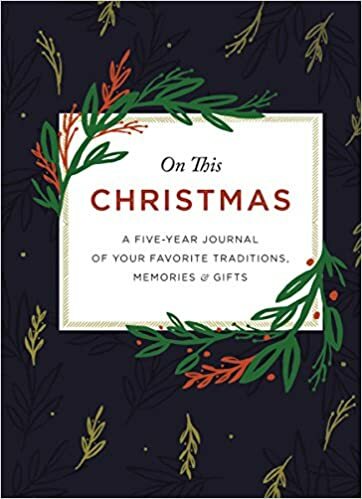 Today I am reviewing On This Christmas, a five-year journal of your favorite traditions, memories & gifts. With Scripture and inspirational thoughts, This Christmas will help you preserve precious times with friends and family as you celebrate the Christmas season. I was very impressed with this 5-year journal. First, it’s a beautiful, hard-bound, book that’s small enough to tuck into your bookcase among your other favorite Christmas books. And it’s the perfect keepsake… a special place to preserve all your memories of each Christmas season, beginning on the very first day of the month and ending on Christmas Day — not just for one year, but for 5 years! What a wonderful idea… a journal to share with your children and grandchildren during future holiday seasons. HINT: This would also make a great, early Christmas gift for family and friends. 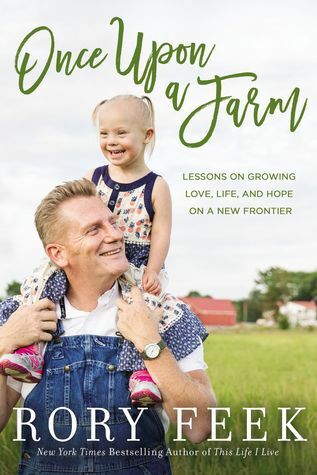 Today I am reviewing Once Upon a Farm, with lessons on growing love, life, and hope on a new frontier, by New York Times Bestselling Author Rory Feek. This is such a sweet, touching story. . . one that begins with Rory Feel and his teenage daughters moving into a run-down house on a farm in Tennessee. At the time, he had no idea that he would meet and marry the love of his life, nor that she would be taken from him long before he was ready to say goodbye. When you pick this book up and turn to the first page, you’ll be drawn into the stories. . . and you won’t want to put the book down until the end. But if you’re like me, you’ll want to have tissues handy. The stories are sweet, sassy, and sometimes emotional. Get the book. Read the book. Then share the book. I am reviewing A Reluctant Assassin… the first book in the Order of the MoonStone series by JC Morrows. A RELUCTANT ASSASSIN by JC Morrows… don’t miss this exciting new series! – Tweet this! I have always loved the Cinderella stories… one of my favorite movies is Ever After – to me it’s the most realistic Cinderella story ever told. And I have books – lots of books – with princes, princesses, kings and queens. But this is the first book I’ve owned with a prince – and an assassin! Without making the story a thousand pages, JC Morrows gives the reader enough back-story to stay interesting – just a few hints – while creating intriguing, bigger-than-life characters, who keep the reader – well, reading. And she throws in a plot guaranteed to keep anyone on their toes. JC purposely leaves out information, such as why Kayden is an assassin… and why there seem to be others whose goal is to kill the Prince. If her intent is to make me eager to read the next story in the series – it’s working! I’m beginning to feel sorry for the Prince. What has he ever done to deserve this? He hasn’t even begun to rule, and from the looks of things, he may never be crowned. And… that’s enough to share for now. If your interest is piqued, get the book. JC Morrows is a talented storyteller – you can tell by the success of A Reluctant Assassin. Although she previously released a short story in this series, Morrow’s success has been tremendous! The day after it released, A Reluctant Assassin reached the #1 spot on Amazon (YA action/adventure) – and it stayed the #1 choice (for hot new YA action/adventure releases) since its’ debut almost 30 days ago. This story was SO MUCH more than I expected — and I can’t wait to read the rest of the series! Don’t wait another minute to read this story! Her mission was simple… get close to the Prince — and kill him! 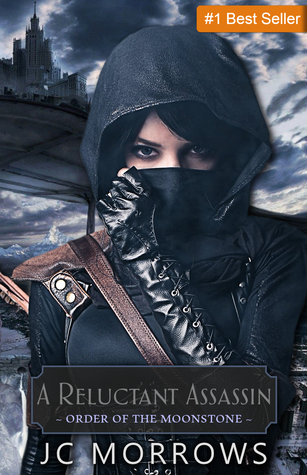 A RELUCTANT ASSASSIN by JC Morrows – Tweet this! 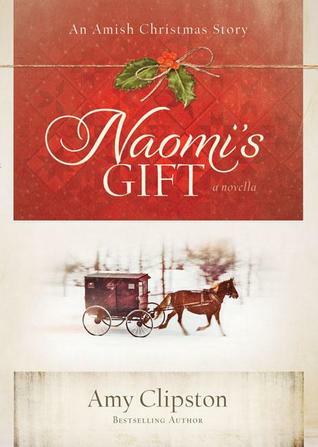 Today I am posting my review of Naomi’s Gift, the second Christmas novella in the Kauffman Amish Bakery series by Amy Clipston. Take a trip to Bird-in-Hand, Pennsylvania, where you’ll meet the women of the Kauffman Amish Bakery in Lancaster County. As each woman’s story unfolds, you will share in her heartaches, trials, joys, dreams and secrets. You’ll discover how the simplicity of the Amish lifestyle can clash with the English way of life and the decisions and consequences that follow. Most importantly, you will be encouraged by the hope and faith of these women, and the importance they place on their families. Naomi s Gift re-introduces twenty-four-year-old Naomi King, who has been burned twice by love and has all but given up on marriage and children. As Christmas approaches a time of family, faith, and hope for many others, Naomi is more certain than ever her life will be spent as an old maid, helping with the family’s quilting business and taking care of her eight siblings. Then she meets Caleb, a young widower with a 7-year-old daughter, and her world is once again turned upside-down. Naomi’s story of romantic trial and error and youthful insecurities has universal appeal. Author Amy Clipston artfully paints a panorama of simple lives full of complex relationships, and she carefully explores cultural differences and human similarities, with inspirational results. Naomi’s Gift includes all the details of Amish life that Clipston’s fans enjoy, while delivering the compelling stories and strong characters that continue to draw legions of new readers. This special novella focuses on Naomi King. I didn’t really notice her much until she began talking to Luke, bringing him lunch and… if she weren’t Amish, I’d say… she was flirting with disaster – ha! Even when Luke tried to tell her she was wasting her time, she refused to listen – even to him! Then at the end, after Luke has finally convinced Naomi that her feelings will never be returned and he has feelings for Sarah, Timothy notices her… and begins thinking she might just suit him after all. Next, she gets involved with Timothy… I think Naomi has grown up a bit and she really gets hurt by Timothy, who still loves Miriam, but thinks it’s hopeless and that he should marry Naomi. To be fair, Timothy often feels that he’s being unkind to not share his feelings with Naomi, but every time he tries to, something stops him. Naomi finally realizes how he feels. So now she’s stopped trying altogether! I like Naomi so much more in Naomi’s Gift… and when Caleb and Susie begin to care for her, I cheered! And she was convinced if she stayed in Lancaster County that she’d be an old maid, never marrying and having a family of her own. If you’re like me, you expect this story to have a happy ending – after all, it’s about Christmas! I won’t spoil it for you, but there are a few twists and turns! Amy does a great job showing how am Amish wife might help a friend who has left the faith, even though it means going against her husband’s wishes. This heart-warming novella shows the faith of one and the forgiveness and acceptance she earnestly desires. If you haven’t read it, don’t wait another year until Christmas – read it anytime! Amy Clipston has a talent for knowing what her readers want… if you don’t have them, be sure this series is on your Christmas list! 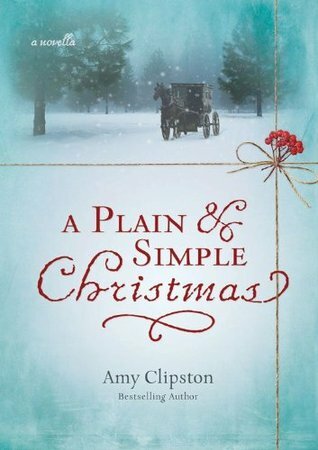 Today I am posting my review of A Plain & Simple Christmas – the first novella in the Kauffman Amish Bakery Series by Amy Clipston. Take a trip to Bird-in-Hand, Pennsylvania, where you’ll meet the women of the Kauffman Amish Bakery in Lancaster County. As each woman’s story unfolds, you will share in her heartaches, trials, joys, dreams … and secrets. You’ll discover how the simplicity of the Amish lifestyle can clash with the ‘English’ way of life—and the decisions and consequences that follow. Most importantly, you will be encouraged by the hope and faith of these women, and the importance they place on their families. In the tradition of her widely popular Kauffman Amish Bakery series, author Amy Clipston tells the tale of Anna Mae McDonough who was shunned by her family four years ago when she left her Amish community in Lancaster County, PA, to marry an ‘Englisher’ (non Amish) man and move with him to Baltimore. Now, eight months pregnant when her first child, she longs to return home for Christmas to reconcile with her family, especially her stern father, who is the religious leader for her former Amish church district. When Anna Mae arrives in Lancaster for Christmas, the welcome she receives is nothing like what she had hoped for. A book filled with love, the pain of being separated from one’s family, and the determination to follow God’s will regardless of the outcome, A Plain and Simple Christmas is an inspiring page-turner that will keep you guessing what happens next … right to the very last page. What do you do when you leave your family behind… I mean, how do you just go on with life, never having any contact with them? This special novella introduces us to Anna Mae and her English husband Kellan McDonough. Anna Mae knew when she left her community… and the Amish faith – and her vows – that she was leaving her family behind forever. But she was in love! And she was convinced if she stayed in Lancaster County that she’d be an old maid, never marrying and having a family of her own. Now that Anna is expecting her first child, she is missing her family even more… but if she returns home, she will be shunned. 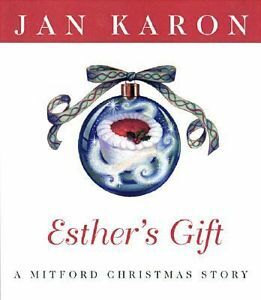 Today I am reviewing The Mitford Snowmen and Esther’s Gift: A Mitford Christmas Story by Jan Karon. 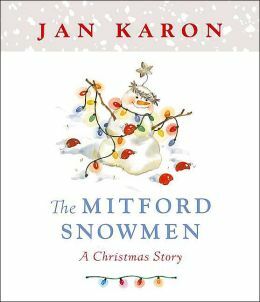 Goodreads says: It’s Christmastime in Mitford, and everyone’s favorite characters are filled with holiday spirit. In The Mitford Snowmen, a swirling snowfall brings them to Main Street for a snowman-building contest complete with doughnuts, hot chocolate, and contagious good cheer. A charming small trim size and enchanting four-color illustrations make this the perfect way to visit Mitford—and gather a heart full of Christmas joy. Goodreads says: In Esther’s Gift, Esther Bolick is filled with the holiday spirit as she prepares to bake the annual batch of her famous-and utterly scrumptious-orange marmalade cakes. Right after Christmas Eve service at Lord’s Chapel, she and Gene will deliver a two-layer marmalade to each of seven friends and neighbors, all of them favorite Mitford characters. Then Gene calculates what it costs to bake this legendary cake, and Esther is stunned. Is it worth it to spend so much money on people who haven’t always measured up to her expectations? The answer is clear. She’ll cut her list back-way back. This decision makes perfect sense until the lyrics of a Christmas carol steal into her heart, and help remind her what a gift really means. I chuckled the whole time I was reading The Mitford Snowmen, as local shopkeepers, with help from Father Tim and Uncle Billy, compete to see who can win Mitford’s First Annual Snowman Jubilee. When Esther Cunningham, the mayor, gets involved, the fun continues. Then I read Esther’s Gift (not to be confused with Esther Cunningham, the mayor). This short story is about Esther Bolick… the one who makes those famous orange marmalade cakes that everyone loves (and sent Father Tim into a sugar-induced coma)! When Esther asks her hubby Gene to figure out how much her 2-layer orange marmalade cakes cost to make, he includes her labor and the cost of the electricity and comes up with a whopping $43! Esther and the others in this sweet little community will steal your heart, quickly making you a Father Tim fan (or perhaps a Jan Karon fan). Don’t miss out on these stores. They should be read not just once, but every Christmas… I know I will be reading them to my grandchildren soon.